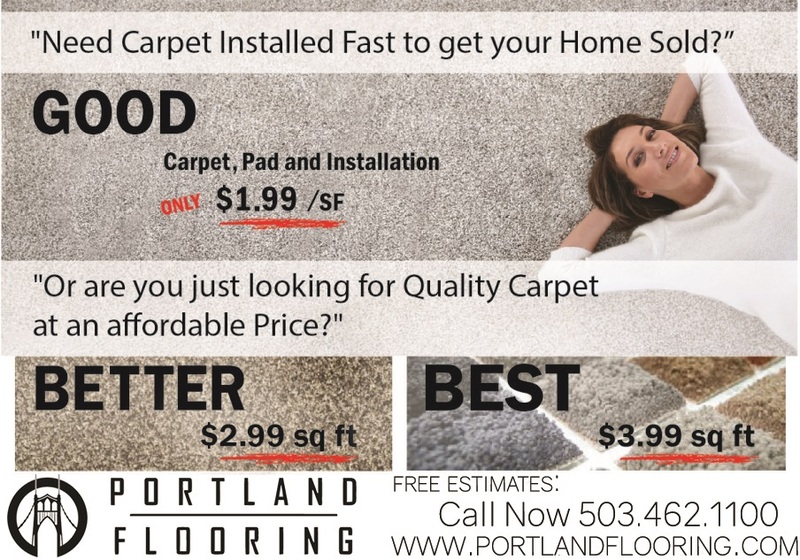 Portland Flooring & Carpet is your source for the highest quality carpet at the best prices! We carry all of the top brands including Shaw, Tuftex, Momeni, Mohawk and more! We use the most trusted and experienced installers to lay down your carpet promptly and professionally. You'll be amazed at quickly your living space is transformed and with rates as low as $1.99/square foot for carpet, pad and installation, the savings are sure to WOW you too! Come visit us at our 5,000 square foot showroom and see for yourself why we've been the go-to for all of your Portland Flooring needs for over 20 years. Or give us a call at 503-462-1100 to schedule a free estimate today!